The ElderCare Law Firm is committed to keeping our clients informed and educated about the estate-planning process. We want you to have access to the right documents for preparing for your appointment, and information to make decisions about your long-term financial decisions. 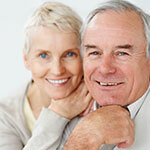 We also understand that seniors face specific challenges and want to offer resources that pertain to aging. Our estate lawyers can help you plan for the future and are invested in the issues that surround seniors and their families—contact us today!